'Stand Up to Cancer' Raises $80 Mil! The "Stand Up to Cancer" telethon has raised more than $80 million, which will accelerate groundbreaking research and bring new treatments to patients as quickly as possible. 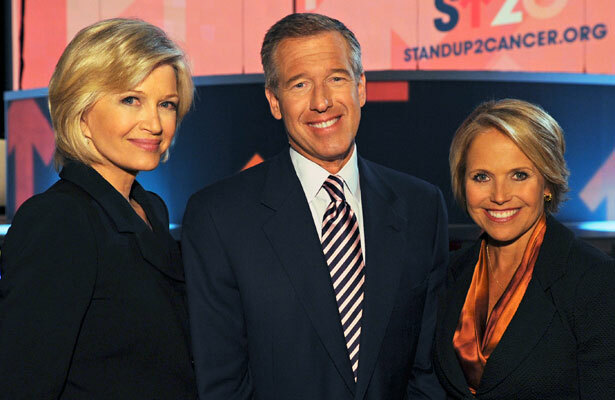 The successful one-hour fundraiser was hosted by network news anchors Katie Couric, Diane Sawyer and Brian Williams, and was simulcast live on ABC, CBS, FOX, NBC, Bio, Current TV, Discovery Health, E!, G4, HBO, HBO Latino, MLB Network, mun2, Showtime, Smithsonian Channel, The Style Network, TV One and VH1. "Extra" was there, too, interviewing the stars and getting their own personal stories in the ongoing fight to beat cancer. The telecast is available online at su2c.org/2010show. You can make donations online at a href="https://www.standup2cancer.org/Default.aspx" target="_blank">su2c.org and at 1-888-90-STAND (78263).